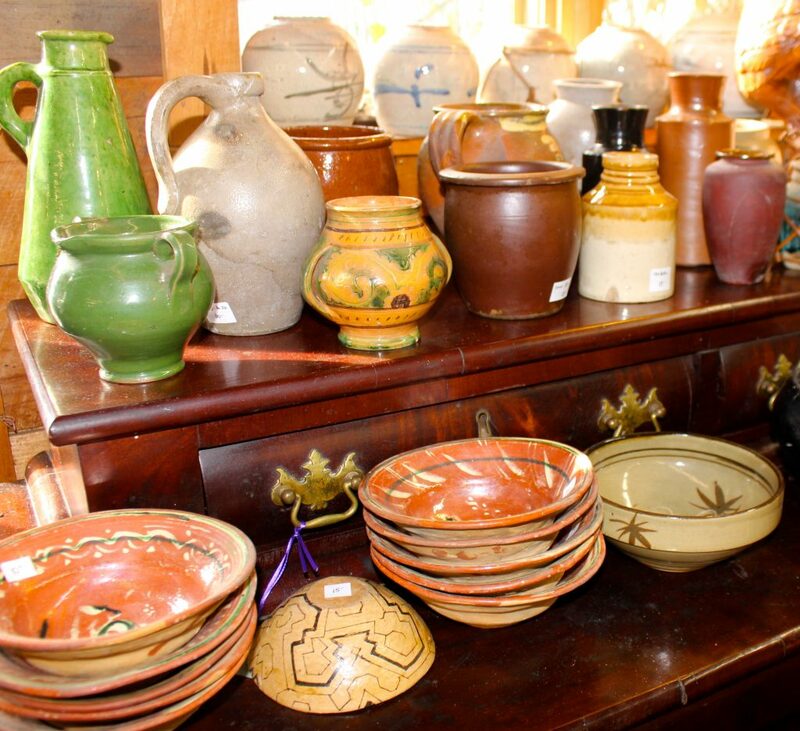 Over the years, we’ve been buying pieces from a friend who spent years making and collecting pottery. Last week, we purchased the last of his collection. In addition to some beautiful large stoneware crocks from makers like Norton, many of the pots from this current (and final) batch are little. The collection includes in bottles, bowls, ginger jars, jugs, and snuff crocks. Prices start at $10.